Artificial intelligence (AI) will change the economy and our lives. 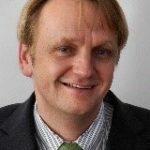 AI is on the “hype cycle” just before the breakthrough, and can be used increasingly profitable. Already several years ago, the DFGE began to explore the possibilities of machine learning, especially with neural networks. 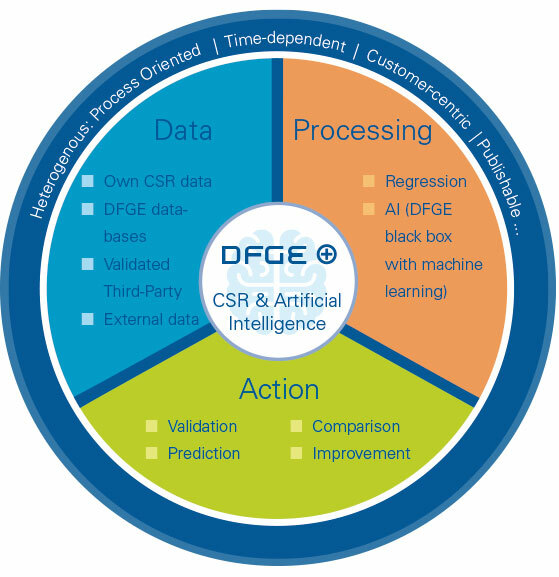 With technology development and the power of IT-driven big data and data science processing, DFGE provides its customers a range of solutions for developing and optimizing enterprise-wide Corporate Social Responsibility (CSR) based on Artificial Intelligence. Special about the use of artificial intelligence are the numerous possible applications. You will find only a small selection here, as the questions as well as the results of the DFGE AI concept are always determined individually for your company. The DFGE Artificial Intelligence solutions will always help you to optimize your CSR strategy and improve your sustainability performance. 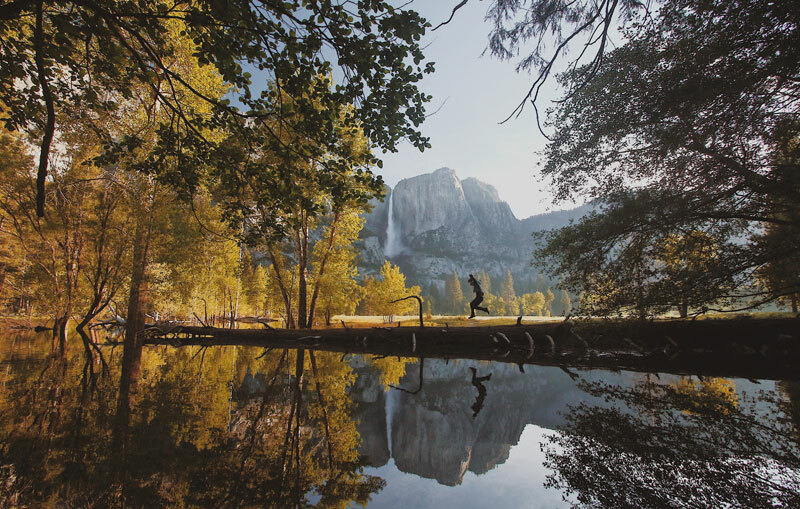 In the CSR (Corporate Social Responsibility) three-pillar model, economy, ecology and social aspects are equal and equally important, both at the macroeconomic and political levels, and at global and entrepreneurial levels. In companies, vast amounts of data are generated in all these areas. These own data as well as validated external data of third parties and also other data, which are (at least at first glance) not directly related to CSR, are collected in the AI concept of DFGE (R). This step requires a sound understanding of how machine learning works and what methods are appropriate for solving a specific problem. After selecting suitable models, they are further optimized in an iterative process until the result satisfies the quality criteria defined before for the application. 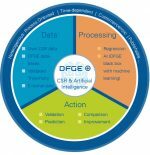 The Artificial Intelligence concept of the DFGE is a hybrid and sequential approach. Therefore, this last step is not just about presenting results, but also about identifying and implementing measures to improve CSR across all three pillars of sustainability.